I know, I know. Usually, we don't do deals on refurbished phones. But this is a really excellent one. Right now you can grab a 32GB refurb Pixel XL for just $409.99 over at Daily Steals thanks to our exclusive $40-off coupon. That's a savings of $359 compared to a new unit from Google, an insane 46% off. Even better, for every phone bought, Daily Steals will donate a dollar (up to 10K) to help those struggling in Texas in the wake of the recent disaster. 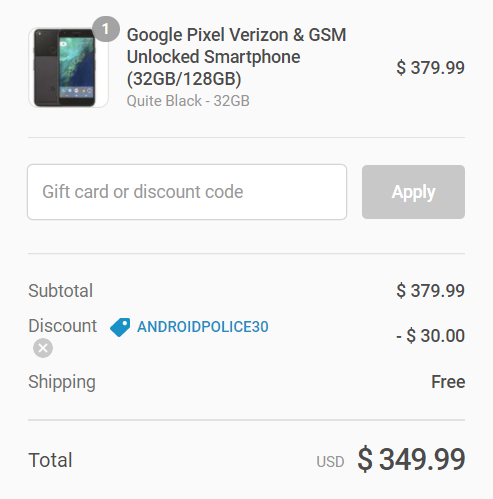 Daily Steals originally had these listed at $449.99, but we managed to secure an extra $40 off on top of that via coupon code ANDROIDPOLICE40, making a good deal that much better. Note, these are refurbished phones, "Unit is in good cosmetic condition, and may have minor scrapes or scratches since it has been handled." So, don't expect them to be new. The odds are good they're the Verizon model, too, so the bootloader may be locked down tight. If you're on the fence, you might want to take a look at our review. We've also got an exclusive deal going for the smaller 32GB Pixel. It isn't a whole lot better than the last time we posted it, but you can grab one right now for just $349.99 with our code ANDROIDPOLICE30. 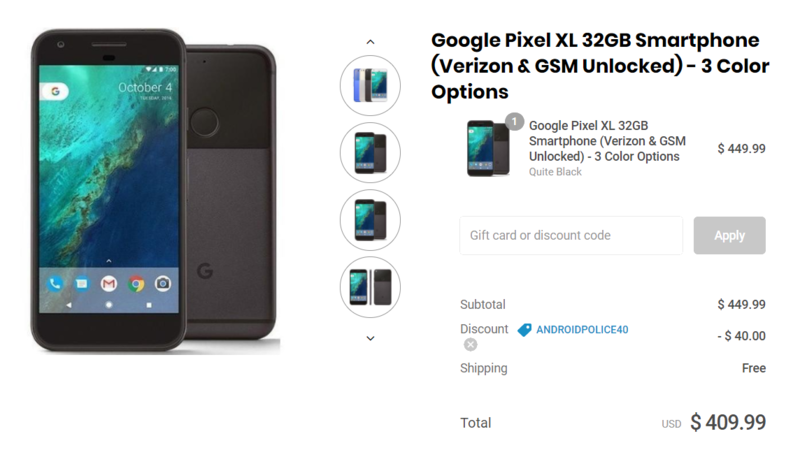 That's almost $300 off the new price from Google. At this point we know there's a new Pixel on the horizon, but if the OG is enough for you, this is a great price. Just remember to use one of our coupons to get the best possible price, and keep in mind that major Android updates aren't promised for the OG Pixel or Pixel XL past October of 2018. So while you might just make it to Android P, you probably won't see Q.